The new Tamron 35/1.8 VC is a very versatile and interesting lens: It offers a fast f/1.8 aperture combined with image-stabilization that is good for two stops in my tests. That makes this lens hold out longer in dimly lit situations. It produces sharp images right into the corner of a full-frame sensor and can focus close up to a magnification of 1:2.5 which is ideal for capturing small subjects. On top of that it's relatively small and light. 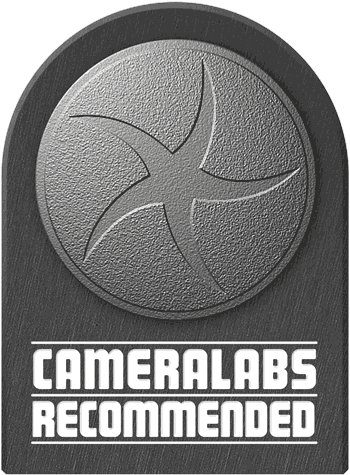 The only thing standing against a Highly Recommended are the color aberrations of this lens which can be pretty nasty at times. But the Tamron 35/1.8 VC clearly earns a Recommended. 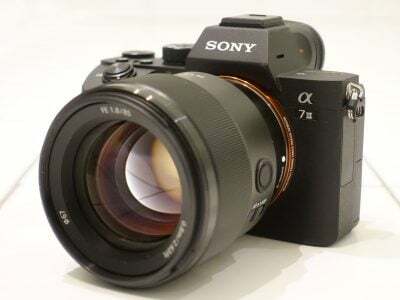 Regarding the performance the price of this lens seems okay although compared to the Sigma 35/1.4 Art and Tamron's own 24-70/2.8 VC it looks a bit on the high side. Check prices on the Tamron 35mm f1.8 at Amazon, B&H, or Adorama, or Wex. Alternatively get yourself a copy of my In Camera book or treat me to a coffee! Thanks! The Tamron SP 35mm f/1.8 Di VC USD is a wide-angle full-frame lens available in Canon, Nikon, and Sony mount. It was announced in August 2015 together with its longer sibling, the Tamron SP 45mm f/1.8 Di VC USD. These lenses are some of the few stabilized short primes on the market. Introducing stabilized primes with focal lengths below 100mm is an important move that reflects the development of ever-higher mega pixel count sensors. 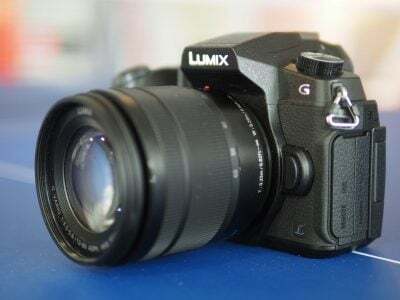 With 36MP, 42MP and 50MP full-frame sensors as well as 24MP APS-C/DX sensors it is increasingly hard to achieve really sharp shots devoid of (micro-)blur. The old 1/focal-length rule for shutter-speeds that are on the safe side no longer applies for the pixel-densities of modern sensors: today we’re more talking about using 1/70 sec on a 35mm lens or 1/100 sec on a 50mm lens. But with the image stabilization (dubbed “Vibration Control”/VC) introduced by Tamron for its 35mm and 45mm primes there’s hope to get sharp shots hand-held at around 1/10 sec. Which would be a boon in situations of low available light or when you have to stop down to get enough depth of field. 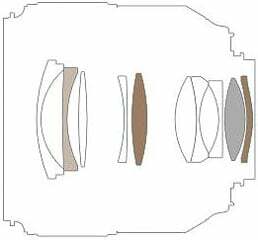 But the introduction of stabilization means that the optical design has to change and additional lens elements need to be introduced. Would this compromise image quality? To find out I tested the Tamron SP 35mm f/1.8 VC alongside the Tamron SP 45mm f/1.8 VC (see my Tamron 45/1.8 VC review) and compare the results against Nikon’s own AF-S 35mm f/1.8G and the Sigma 35mm f/1.4 “Art”. Read on to find out which will be best for you! As usual I’ll have a look at the technical data first. I’ve rated the features with a [+] (or [++]), when it’s better than average or even state of the art, a  if it’s standard or just average, and [-] if there’s a disadvantage. I’ll compare it with the Sigma Art AF 35mm 1.4 DG HSM (the “Sigma 35/1.4” for short). The score in the “features-department” is 1[-]/4/8[+]. In direct comparison to the Sigma 35/1.4 Art the new Tamron 35/1.8 VC has three advantages: It is stabilized, it has a 1:2.5 magnification, and it’s 200g lighter. But then you give up the build quality of the Sigma and two-thirds of a stop of maximum aperture (f1.8 vs. f1.4). The only minus-point of the Tamron on paper is the missing lens-case. Why Tamron decided to deliver a 700+ EUR lens without one is beyond me. – Nikon offers the AF-S Nikkor 35/1.8G ED. It’s not stabilized and costs around 470 EUR. It earned a Recommended in my Nikon 35/1.8G review. There’s also the AF-S DX 35/1.8G but that lens only covers the DX image-circle. There’s also the older AF 35/2.0D which is a very compact non-stabilized lens and costs around 300 EUR. – For Canon full-frame bodies there is the stabilized EF 35/2.0 IS USM which can be had for less than 500 EUR. – If you don’t mind getting a bigger glass you might as well look for 35/1.4 lenses where the prime alternative is Sigma’s 35/1.4 Art that sells for about the same price as the Tamron and performed convincingly (see my Sigma 35/1.4 Art review). Then there is Nikon’s own 35/1.4G (see my Nikon 35/1.4G review) at more than double the price. Canon offers the brand-new EF 35mm 1.4 L II USM at around 2000 EUR or you go for the older EF 35mm 1.4 L USM (around 1200 EUR). All those primes are not stabilized but offer a 2/3 faster aperture. And finally there is the Samyang/Walimex 35/1.4 lens which can be had for less than 500 EUR but is manual focus only – and also not stabilized. 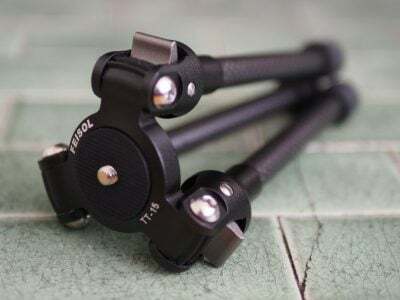 – Or you go for a wide-angle full-frame zoom that covers 35mm and gives you the flexibility to cover more shooting opportunities due to their variable focal length. Only one of them offers a faster maximum aperture than f/2.8: the Sigma AF 24-35mm 2.0 DG HSM Art (around 1100 EUR), but it’s not stabilized. Or you go for a stabilized f/2.8 zoom of which there are two alternatives: The Tamron SP AF 24-70mm 2.8 Di VC USD (800 EUR, see my Tamron 24-70/2.8 VC review) and Nikon’s new AF-S VR 24-70mm 2.8E ED. But that is the most expensive alternative at 2500 EUR (see my Nikon 24-70/2.8E VR review). Focus accuracy and repeatability is critical to consistently produce sharp shots. Repeatability (the accuracy of focus on the same subject after repeated focus-acquisition) of this lens is very good (measured 99,0% in FoCal) with no outliers over a series of 40 shots. And there is no performance variation whether the lens focuses from infinity or from a closer distance. Unfortunately the lens had to be sent to service to perform correctly. The lens focuses in around 0.5 sec from infinity to 0.35m which is fast. The 25mm broad focus ring has no slack/play between its movement and the focus-action and movement is of medium smoothness. It has a long throw of 185 degrees which makes manual focusing at large apertures easy. It turns the same way as Canon photogs are used to but that is the wrong way for Nikon users. AF-operation is barely audible from the outside. If you record video with the built-in microphone every focus-movement starts with only a slight “clack” and the AF-drive is very quiet. The VR-system is virtually silent both on the outside and when recording video. To test the effectiveness of the image stabilization I did a series of 100 test-shots hand-held. Shutter speeds were from 1/30 of a second down to 1/4 sec. Comparing the shots with VC=ON with a reference sample of 20 shots at 1/30 sec with VC=OFF I can report that the VR is good for 2 stops of image-stabilization. That is a good result and a main benefit compared to non-stabilized primes. It means you can shoot at 1/8 sec and still get a very high keeper-rate.